Groovy Green Coloured Tissue Paper - 20" x 30" sheet size. 480 sheets per ream. Bright Lime Coloured Tissue Paper - 20" x 30" sheet size. 480 sheets per ream. Cedar Green Coloured Tissue Paper - 20" x 30" sheet size. 480 sheets per ream. Dark Green Coloured Tissue Paper - 20" x 30" sheet size. 480 sheets per ream. Festive Green Coloured Tissue Paper - 20" x 30" sheet size. 480 sheets per ream. Forest Green Coloured Tissue Paper - 20" x 30" sheet size. 480 sheets per ream. Jade Green Coloured Tissue Paper - 20" x 30" sheet size. 480 sheets per ream. Teal Green Coloured Tissue Paper - 20" x 30" sheet size. 480 sheets per ream. Mid Green Coloured Tissue Paper - 20" x 30" sheet size. 480 sheets per ream. Oasis Green Coloured Tissue Paper - 20" x 30" sheet size. 480 sheets per ream. Olive Green Coloured Tissue Paper - 20" x 30" sheet size. 480 sheets per ream. Pistachio Green Coloured Tissue Paper - 20" x 30" sheet size. 480 sheets per ream. 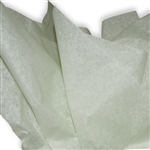 Balsam Green Coloured Tissue Paper - 20" x 30" sheet size. 480 sheets per ream. Emerald Green Coloured Tissue Paper - 20" x 30" sheet size. 480 sheets per ream. Pale Mint Coloured Tissue Paper - 20" x 30" sheet size. 480 sheets per ream.